Here you can find current and archived information from our company regarding our products, services and events. The firmware for all Pocket versions is online again. It contains some bug fixes and adjustments for the various versions. The upload software RDR51C now checks the version numbers of the firmware and WiFi driver for compatibility to warn the user from loading the wrong files. The sPocket won’t go into serial production this year. The first devices can be expected as early as february. We are accepting pre-orders beginning from 01.01.2019. The first 20 sold devices receive a free activation of all available software options (broadband spectrum up to 52.6 MHz, 8 FM-W filter for DX and high-end stereo, spectrum resolution up to 2.5 Hz / line). The popular RLA 4 crossloop antennas received updated internal electronics (board version “4G”). It now offers better signal-to-noise ratio, increased IP2 and IP3 values and an effective VHF filter. The additional feature “whip operation” is omitted again. It only o Die Zusatzfunktion “Whip-Betrieb” ist wieder entfallen. Only with a special setup (preferably high and far away from interfering sources), useful reception possibilites could be achieved. The three variants (now called D, E and F) with shielded and unshielded FR4 loops as well as stainless steel band remain. The “whip operation” will offer a special “RWA” variant in the future. It consists of symmetric setups (“Active dipole”), which are, like the RLA, arranged crosswise, while the receive direction can be rotated electronically. As the RLA, the RWA is designed for interior and mobile operation (small, light space-saving transportable thanks to its retractable telescope rods). Please consult our current price list with the now included sPocket and the newest versions of the RLA4 antenna! 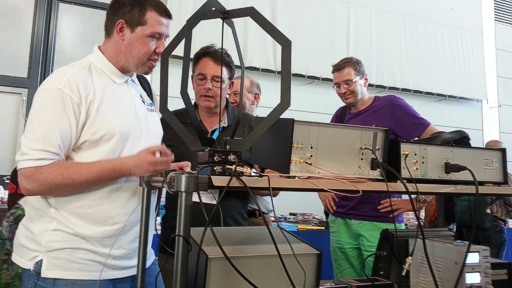 Because of the extremely unfavorable date we sadly can't attend the Ham Radio in Friedrichshafen this year. 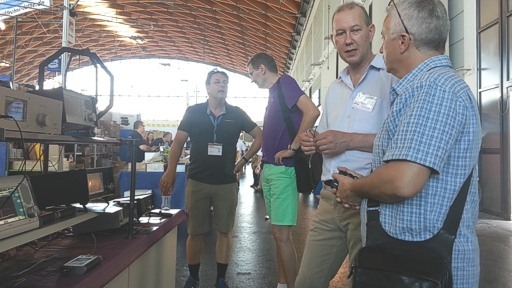 Our next exhibition appearance is planned for the UKW-Fachtagung in Weinheim. The Reuter Pocket is now available with the newest firmware VxE8. Have a look at the Operator Manual on the homepage. Variant C3 (5 W transceiver) is currently out of production and replaced by variant C4 (wideband low level transceiver). After multiple requests, the RDR Pocket is now available in an additional version: C4. It combines the FM / 2 m / DAB(+) receiving unit with a broadband exciter similar to the RDA31 for the RDR 54 and 55 devices. Transmitting (max. 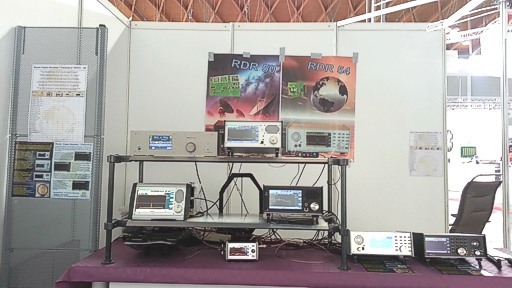 2.5 mW output) on every frequency from 100 kHz to 151 MHz in high quality is now available. New price list with dab modules for RDR 54/55 and Pocket C4. RDR Pocket software is available in the newest version: RDR Pocket. 17 Bit and 18 Bit ADC module (RAD17FF and RAD 18FF) with DAB receiving option will be available for RDR54/55 soon. New pricelist is valid (attached Pocket special equipment and battery exchange service). All preordered Pockets are delivered. We want to thank you for your patience and for the exceedingly positive feedback. We are currently designing and manufacturing the new Pocket devices which will be available in March. We are now accepting new orders. For the current price list, please check our homepage. Advanced display and adjustment options for DAB reception. IQ signal recording through the flash recorder (approx. 150 kHz bandwidth). Possibility to save recording as WAV file on the PC. Bluetooth connection from external microphone, loudspeakers, telegraph, headphones. 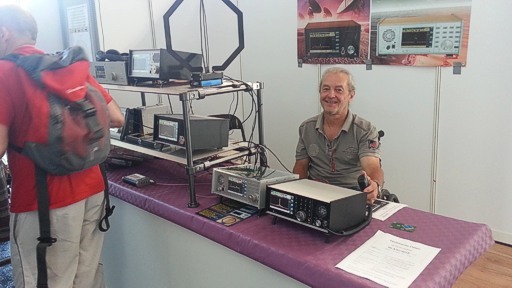 Thanks to all the visitors of our booth at the Ham Radio! We really enjoyed the competent conversations and the vast interest! Unfortunately, we couldn't accept binding orders of our new devices. But soon there will be an extensive update regarding the RDR51 now officially called “Reuter Pocket”. We will also release a start date at which we will accept binding preorders. Our international homepage is finally online! Still somewhat in beta, so please send us your feedback!